Today let’s learn what the Bible is. Most Muslims have a wrong concept of what the Bible is. They think it is like the Quran. The Bible is NOT God’s recitations to man or to an angel. God did not transmit the Bible word-for-word. Muslims think that every verse in the Bible was spoken by God. That is a wrong understanding. 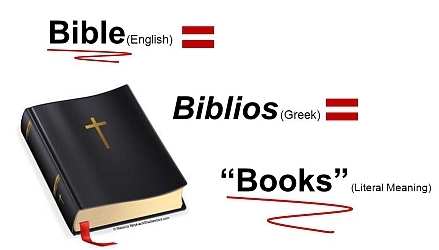 When we say the Bible is the “Word of God”, it does not mean, all the words in it were UTTERED by God. “Word of God” means, it is God’s true record of words spoken or written by people. Yes, there are words spoken by God in there, and there are also words spoken by good men and wicked men, kings and beggars, truths and lies, the words of angels and even the words of satan are contained in the Bible. Now, some of you muslims might be shocked reading this. You will point your finger and laugh and question how can we say lies and the words of satan are in the Bible! As I said, the Bible is a RECORD of all these words. This does not mean that the record of what a wicked man says in the Bible is true. The Word Of God confirms it is true that the wicked men did say it but what he said may not be true. Do you understand? In Psalms 14:1, we find this statement. “There is no God.” WHAT??!!!??? Is the Bible teaching atheism here? If you pull this verse out of context, that is the wrong impression you might get. But you need to always read the Bible in context. Can you trust the words of a foolish, senseless and morally deficient man? Many of the misconceptions you have of the Bible can easily be resolved this way, if you simply understand who is speaking, to whom, and why. If God is speaking, we can be assured that His words are 100% true. If an inspired prophet is speaking, we can also expect his words to be true. If a man is speaking, his words may or may not be true, depending on the context. If the Bible records the words of a false prophet or an evil man or satan, we can expect that it is a deception. For example, in the Gospels, there is a record of Satan quoting from Deuteronomy and Psalms. The verses he quotes are true, written by Moses and David. But satan was misusing the true words of scripture and taking it out of context to DECEIVE. When you take a scripture verse out of context, you are doing exactly what satan did and still does.